Diarrhea or Loose motions can be defined as when there is sudden passage of watery and loose stool. Diarrhea is a symptom in IBS (Irritable Bowel Symptom). Loose motions may results in loss of body fluids and minerals from the body.  The watery bowel movements are sometimes serious but are most common. It is very common in summers. Due to loss of greater amount of water loss from the body causes dehydration. It is mostly seen in children. It lasts for 2-3 days. Many people suffer from diarrhea once or twice every year. Loose stool causes weakness, loss of appetite, pain in stomach. So, loose motions can be treated with various home remedies. Diarrhea is frequent watery or loose bowel movements that deviate from the normal pattern. The average adult has about four bouts of diarrhea a year. Diarrhea is classified as acute or chronic. Acute diarrhea is diarrhea that last less than 2 weeks and chronic last longer than 2 weeks. Most causes of diarrhea last 2-3 days. Acute diarrhea is most commonly caused viruses in the gastrointestinal tract, but can also be caused by antibiotic use, bacterial or parasitic infections, food allergies or food poisoning. Dietary factors that lead to chronic diarrhea (but should be considered in acute diarrhea) include: lactose intolerance, Lactose intolerance is associated with gas, bloating and explosive diarrhea. Traver's diarrhea is common in those who go to Asia, Africa, central or south America and the Middle East. It present with diarrhea, abdominal cramping. Constipation results in a hard stool that liquid stool can work its way around resulting in diarrhea. Loose motions symptoms may vary depending upon the different complications. It is very beneficial and effective drink in pacifying the digestive system thus bringing it in normal position. Add little amount of jeera powder,1tsp of salt in butter milk mix well and drink it 2-3 times a day to stop loose stools. 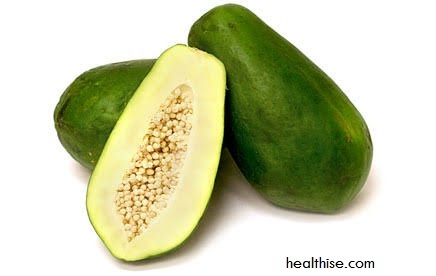 This fruit is very much effective in relieving from loose stool. It can be eaten in any form weather in fruit or in juice form. If a person is taking fruit than he should eat 2 fruits at least in a day. If taking in juice form than a person should drink juice three times a day. It is a very natural home remedy which is beneficial in lots of health problems and is effective in stopping loose stool. Take 1 Glass of water heat it for few seconds add half teaspoon cinnamon powder and 1 teaspoon of fresh and pure honey mix well and drink it two time empty stomach in the morning. It is the best home remedy to treat loose motions. 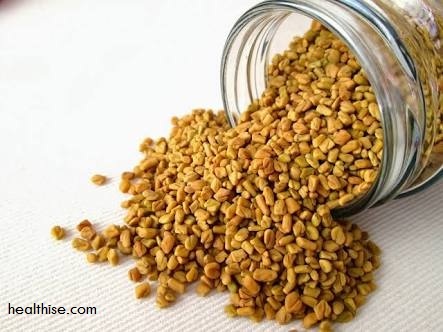 It has various properties like ant-bacterial and ant-fungal.Tke two to three fenugreek seeds make it in powdered form mix it in one glass of water and dink empty stomach daily in the morning. These seeds have ant-bacterial property. Take 1 glass of water put one fourth of mustard seeds in table spoon of water keep it for one hour and drink this mixture for 2-3 times a day. It has an anti-inflammatory property. It is very effective to get rid off loose motions. Take a lime juice put salt and sugar in it mix well and take this mixture every 1 hour. Take one teaspoon of a mint juice, one teaspoon of honey and 1 teaspoon of lemon juice mix them and consume. Take this mixture two to three times a day. Boil raw Papaya in 1 glass of water. Drink this for at least two to three times daily thus helping in stoppage in loose stool. Powder Mix half teaspoon of ginger powder in buttermilk and drink it two to three times in a day daily. Tea Boil chamomile flower and peppermint leaves in a cup of water and drink it three times a day. Take bitter gourd juice two to three times a day helps in removing the toxins from body thus relieving from loose motions. Take 25gm of powdered bael leaf, add 2 tablespoon of honey mix it well and take this mixture three to four times a day.